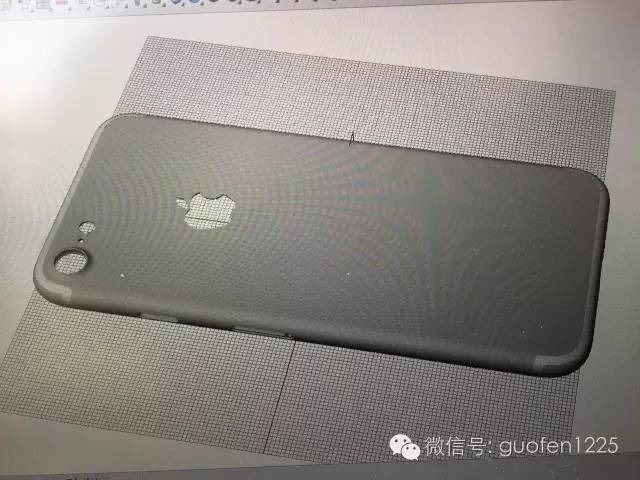 If authentic, leaked CAD renderings of Apple's "iPhone 7" and "7 Plus" appear to support claims that the device will ditch the headphone jack, sport tweaked antenna designs, and feature a dual-camera system for the larger 5.5-inch model. Images of the base model show an expected larger space for the rear camera, as well as relocated antenna bands, NWE noted on Wednesday. The bottom of the device has two speaker ports, suggesting once again that Apple is abandoning a 3.5-millimeter headphone jack in the interests of thinness and freeing up space. The "Plus" model meanwhile shows an opening for a dual-lens camera. None of the published screenshots include an angle revealing whether or not the device has a Smart Connector. The authenticity of the renderings can't be confirmed, but some images do depict internal case elements important only in manufacturing, which are unlikely to be faked. One possibility is that the renderings stem from someone at Catcher, the supplier normally tasked with building metal casings for iPhones. Apple is expected to ship the "iPhone 7" line sometime this fall, presumably within the company's normal September window. One of the biggest changes may actually be storage capacity, as Apple is expected to finally boost the minimum to 32 gigabytes —something other phone makers have been doing for a while.